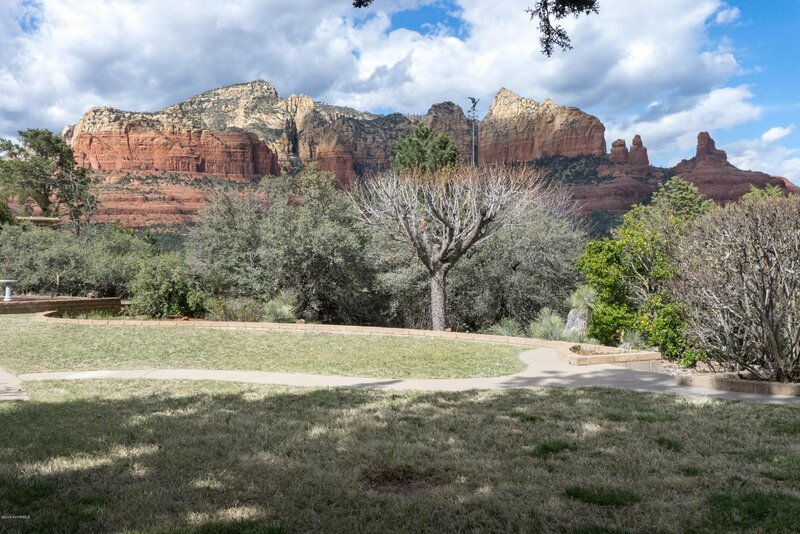 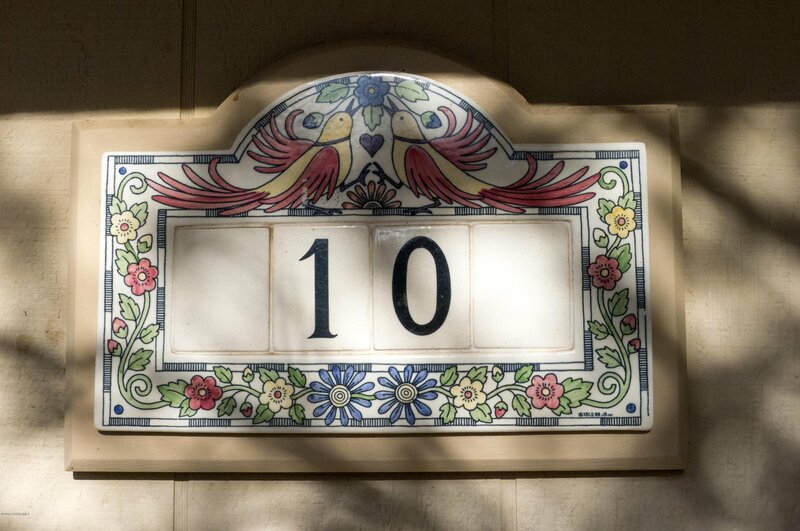 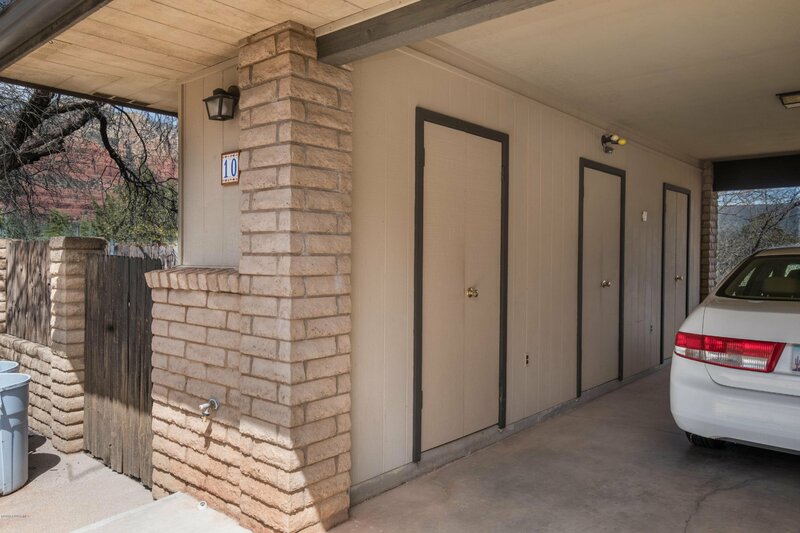 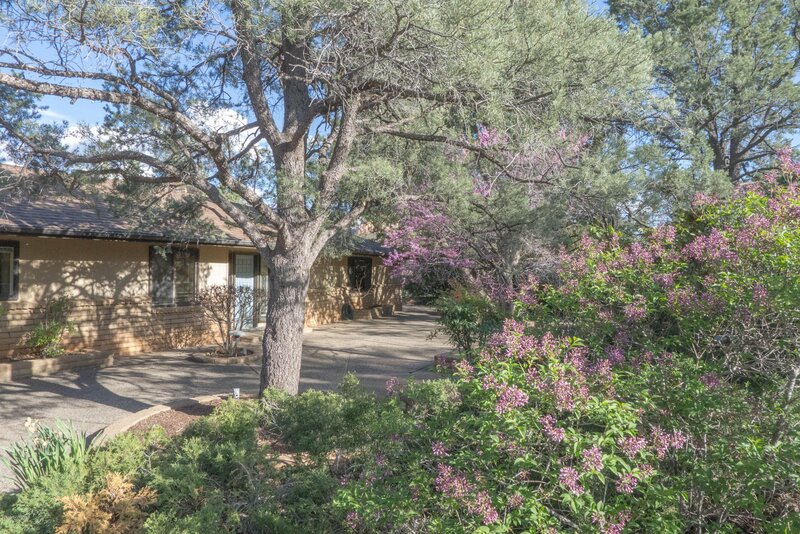 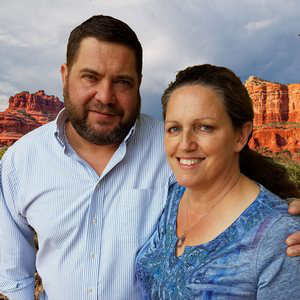 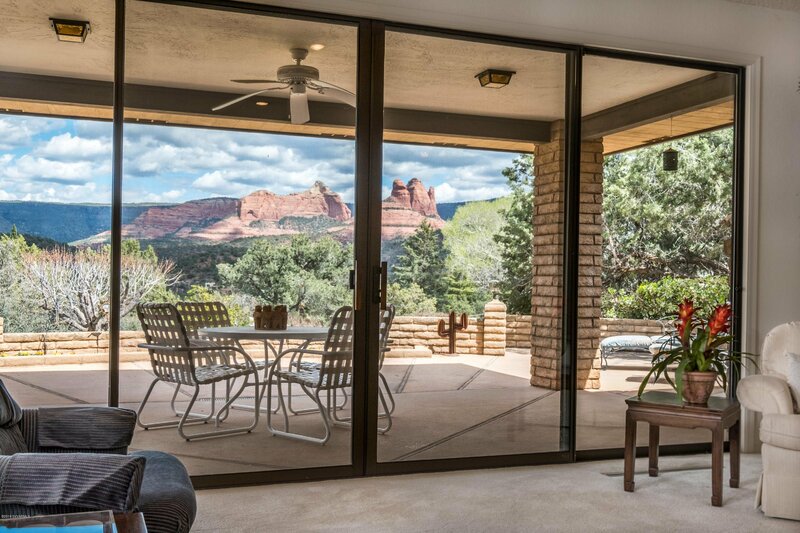 10 Apache Tr, Sedona, Sedona real estate. 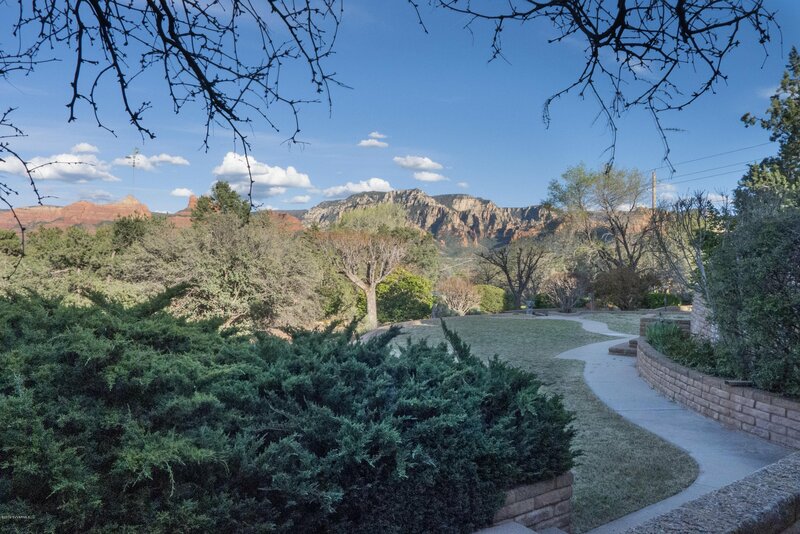 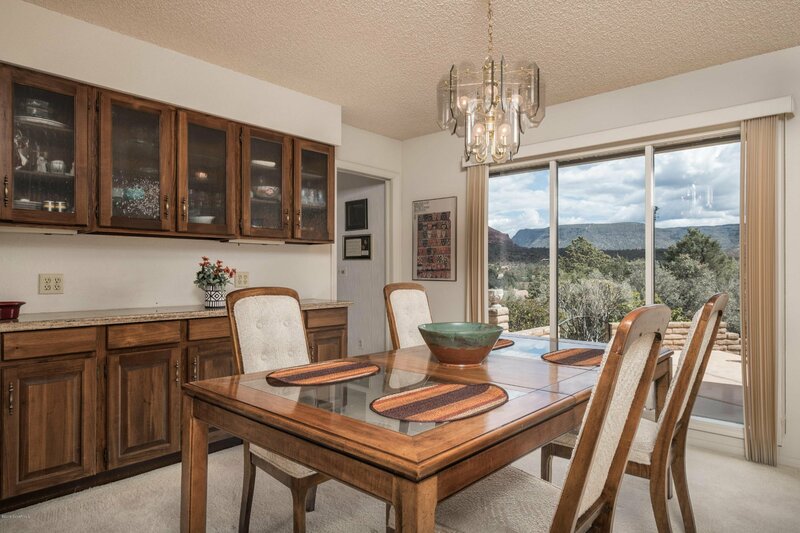 Sedona Verde Valley MLS number for this Sedona property is 519463. 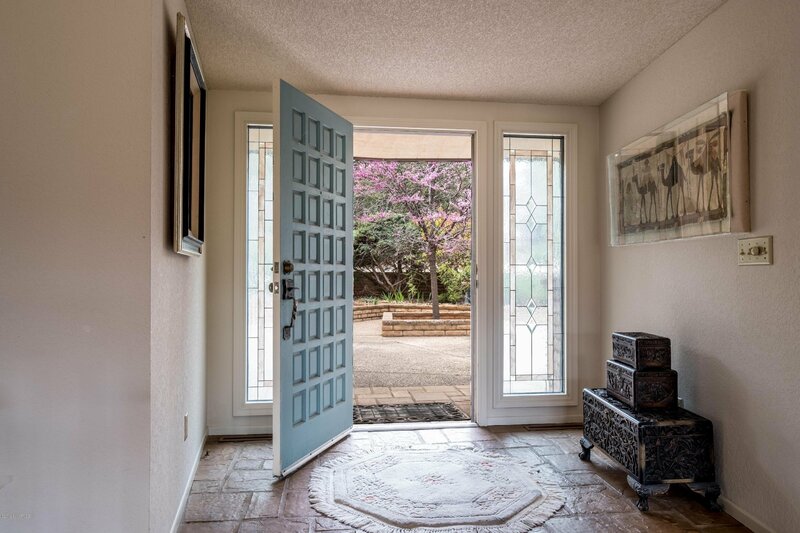 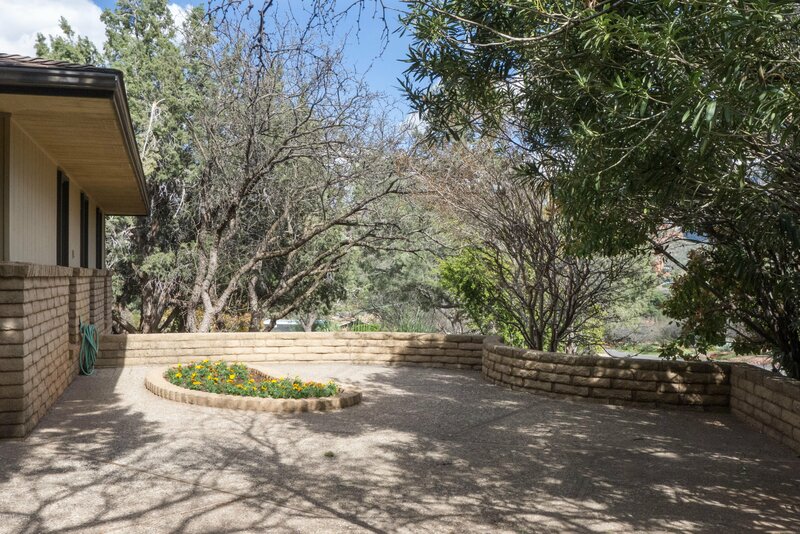 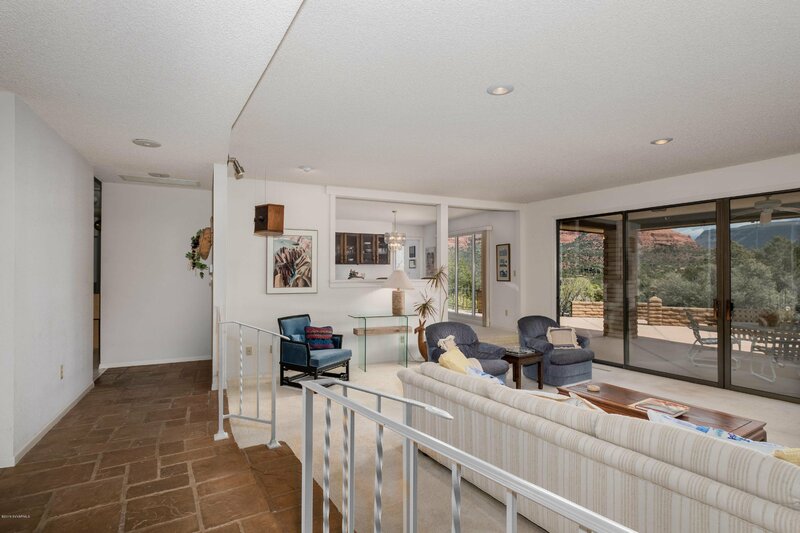 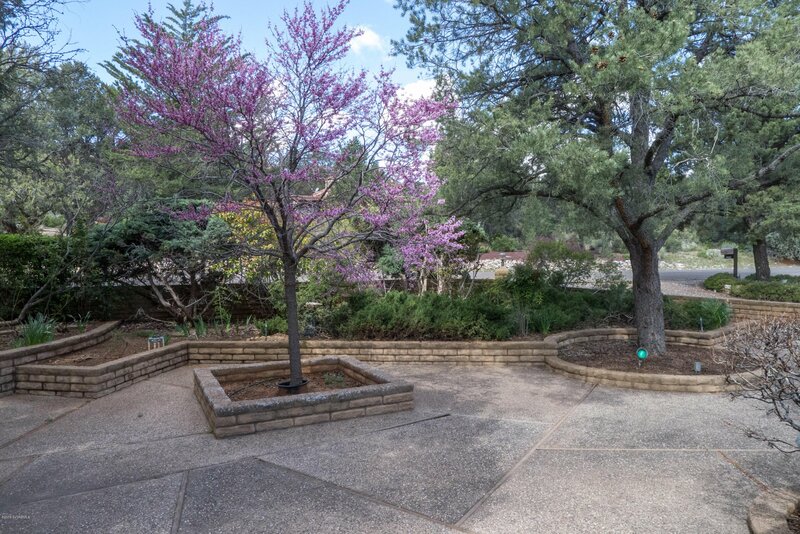 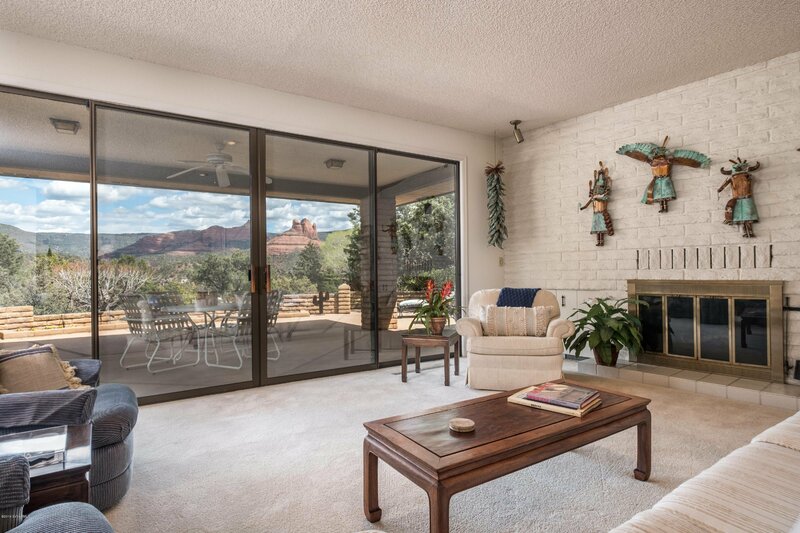 Classic Sedona home in uptown hills of Sedona. 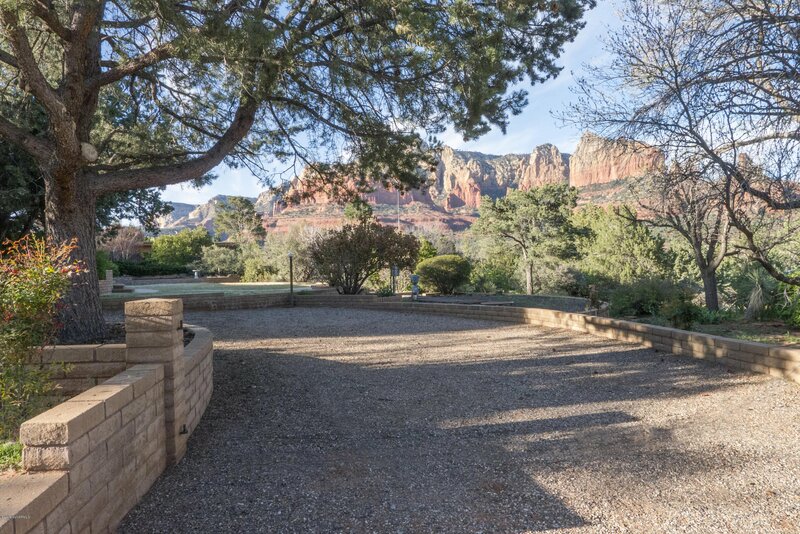 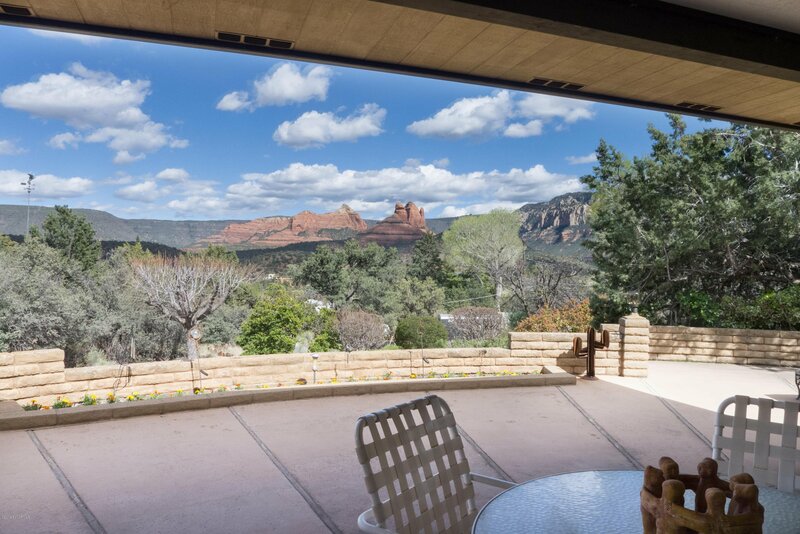 Outstanding, panoramic red rock views. 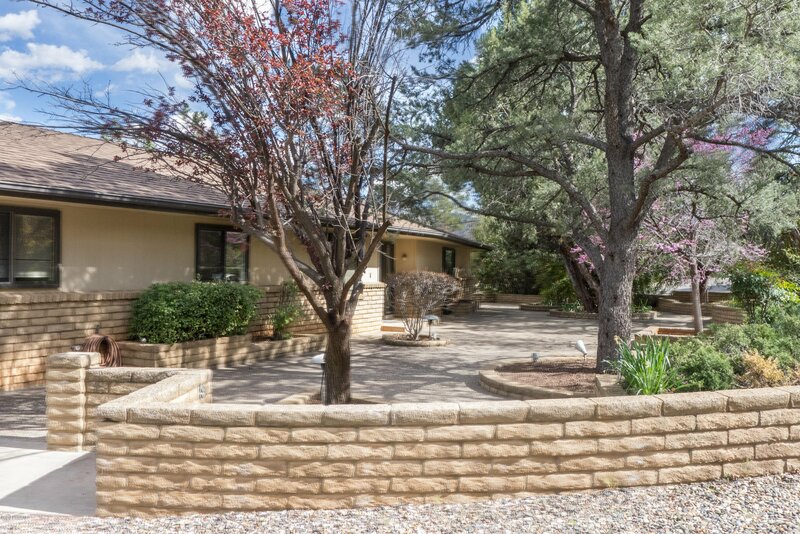 3bedrm, 3 full baths, 2 half baths, 3013sq ft on .70 acre lot. 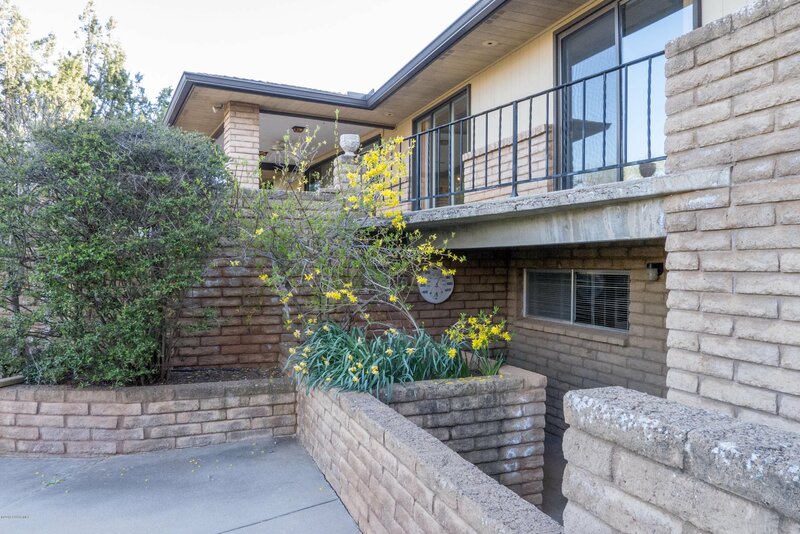 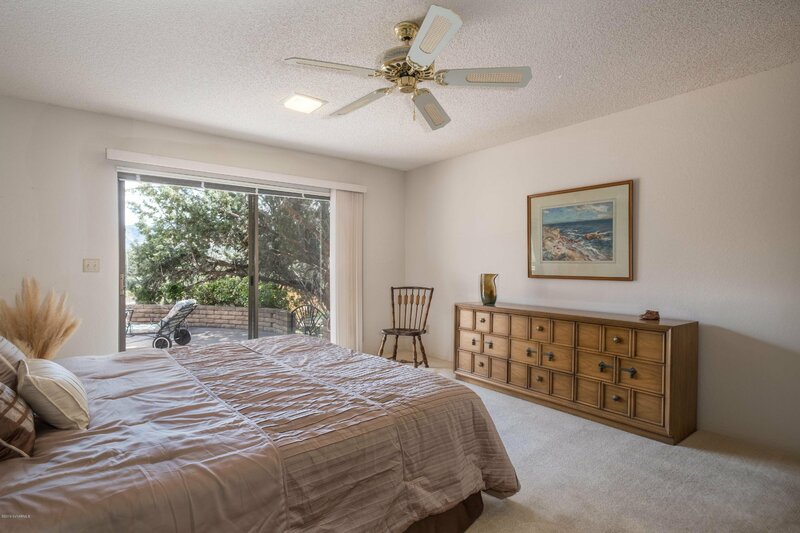 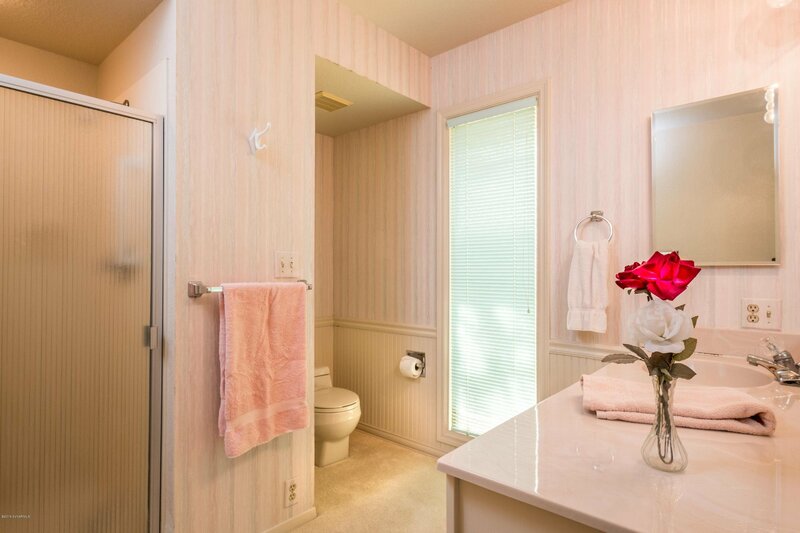 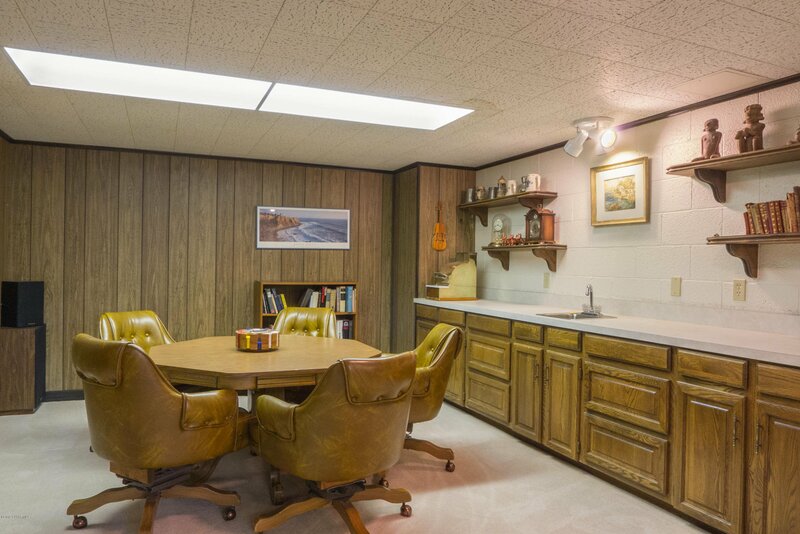 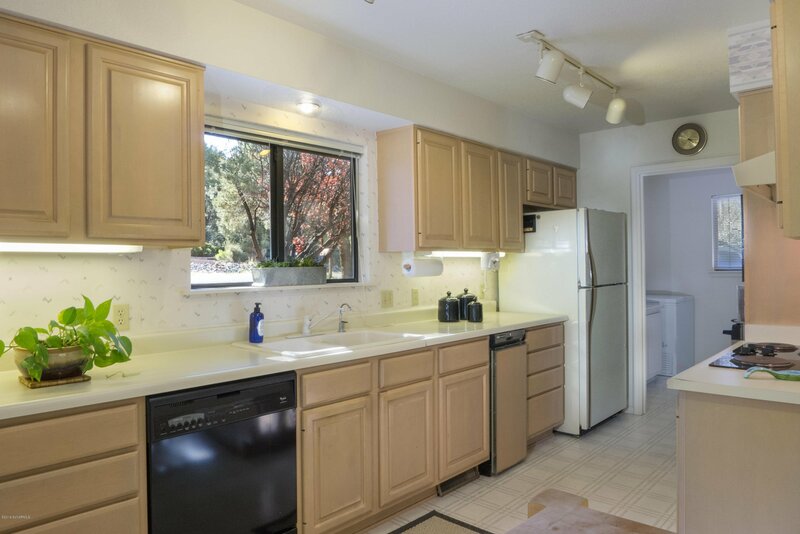 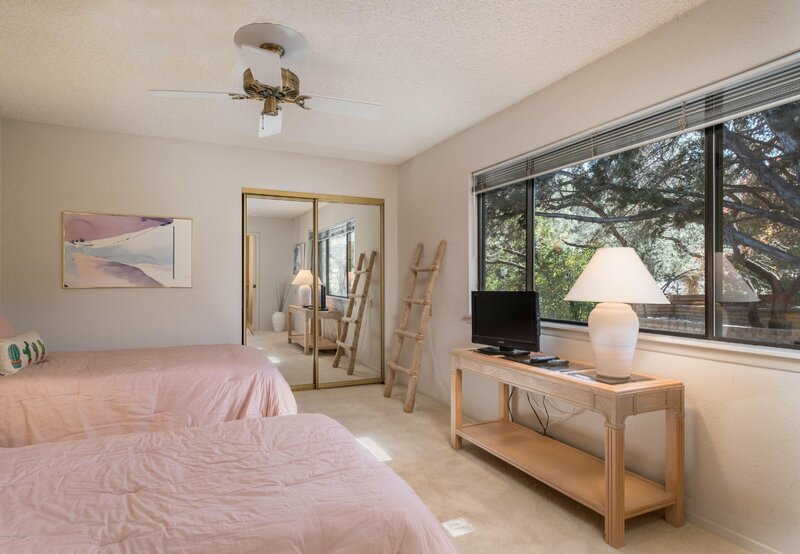 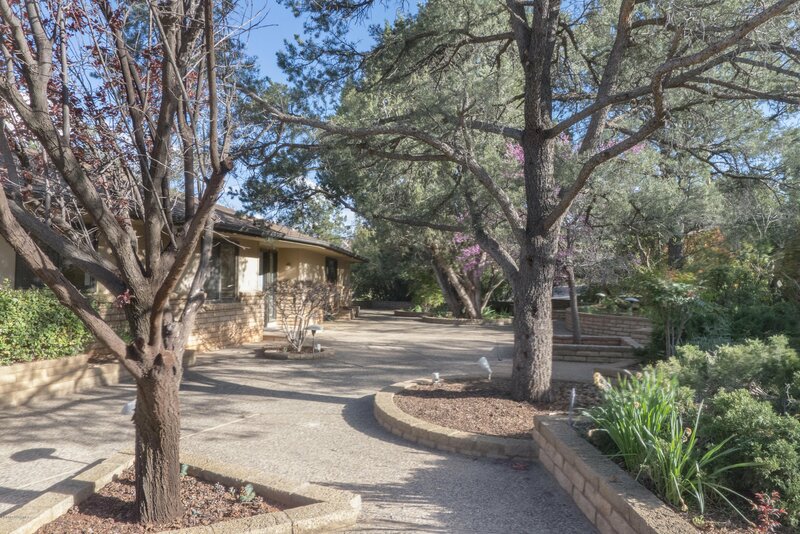 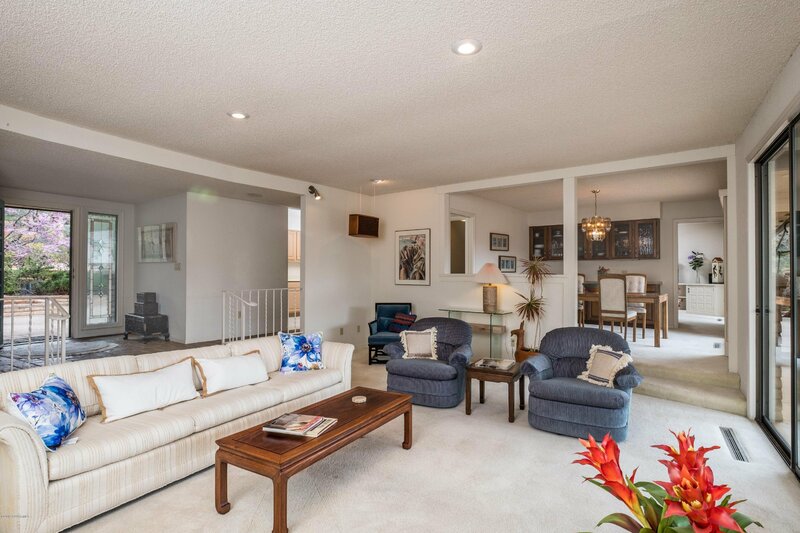 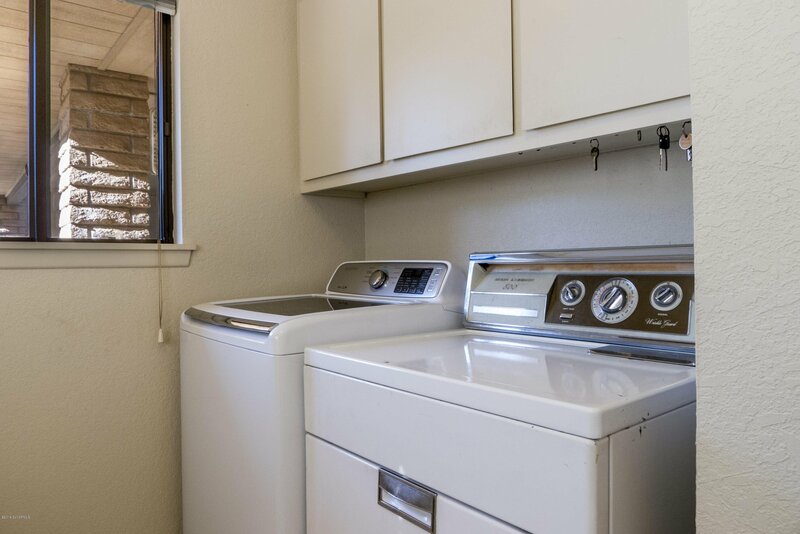 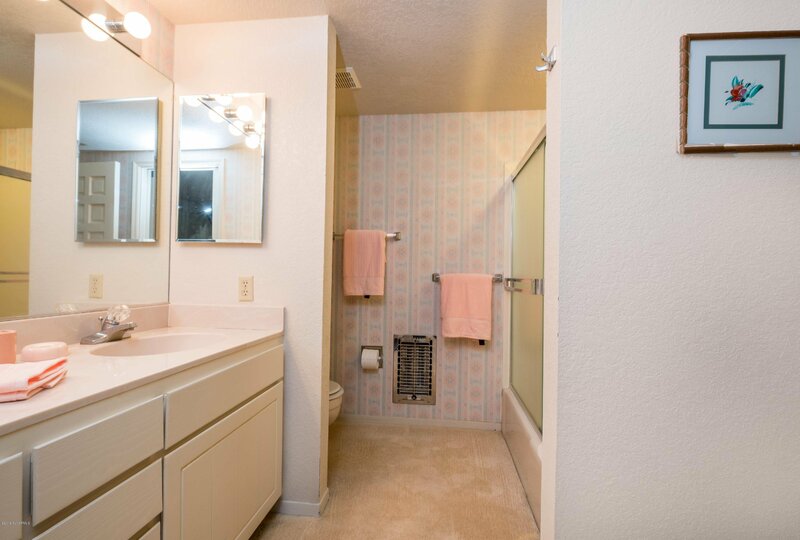 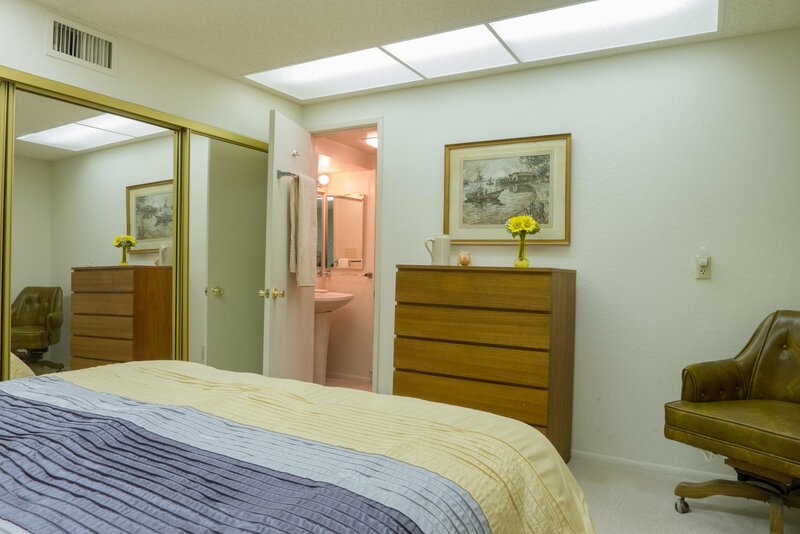 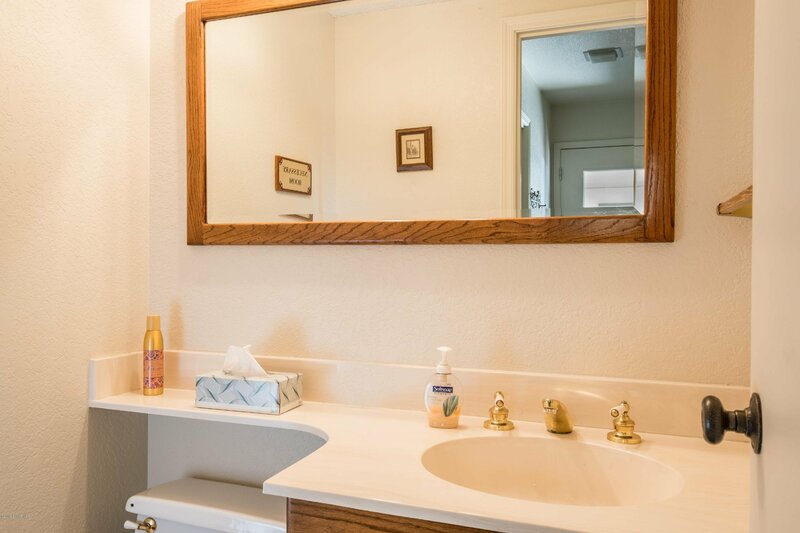 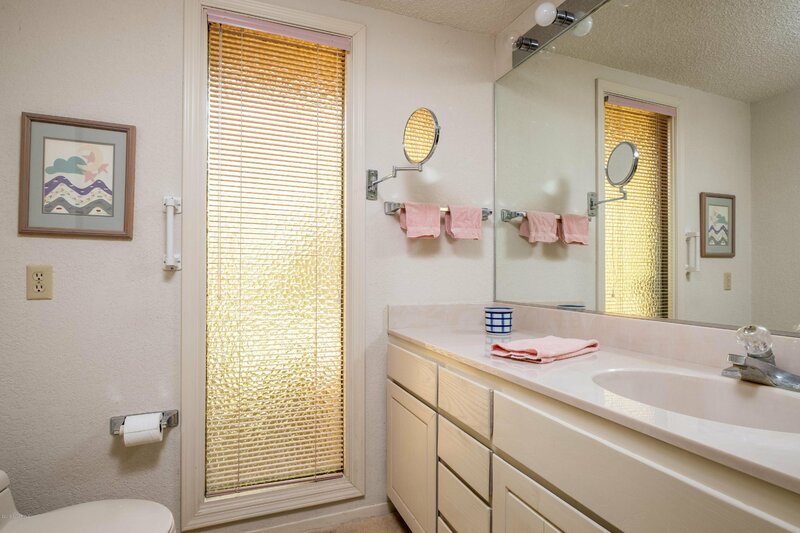 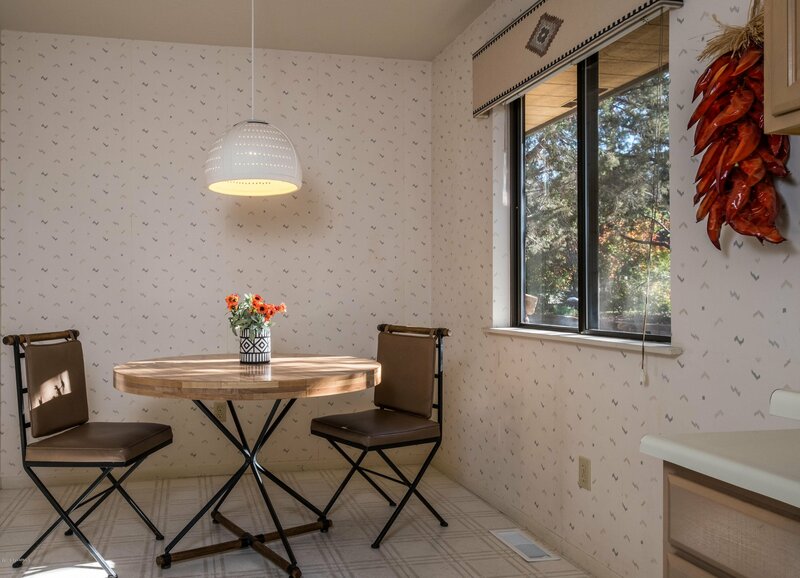 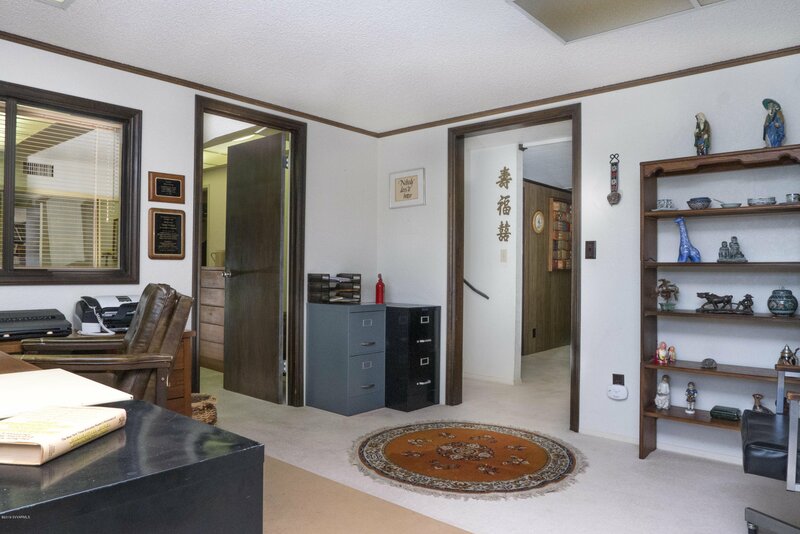 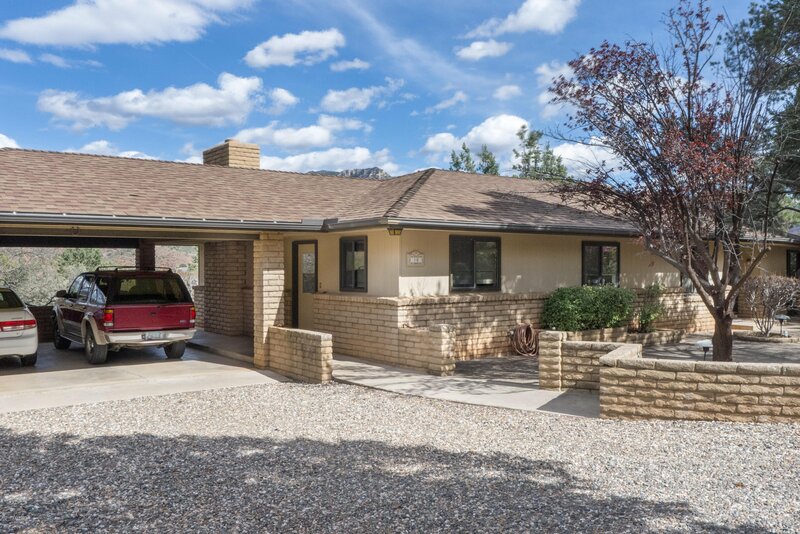 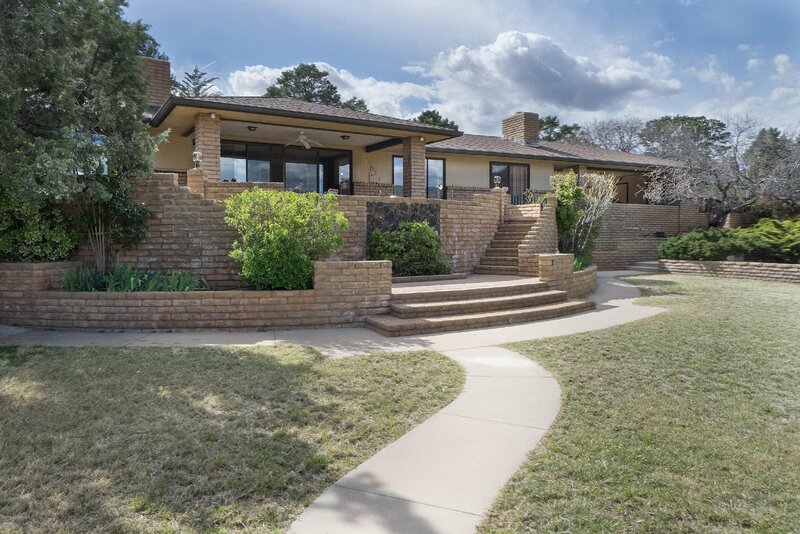 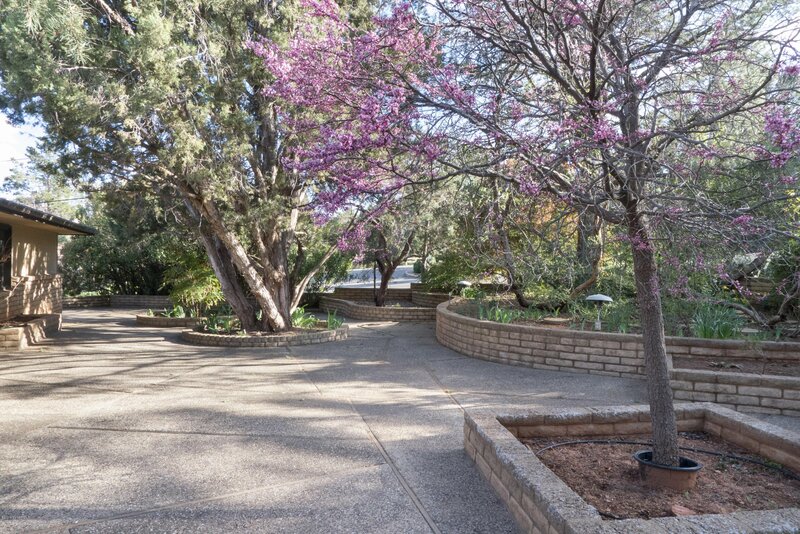 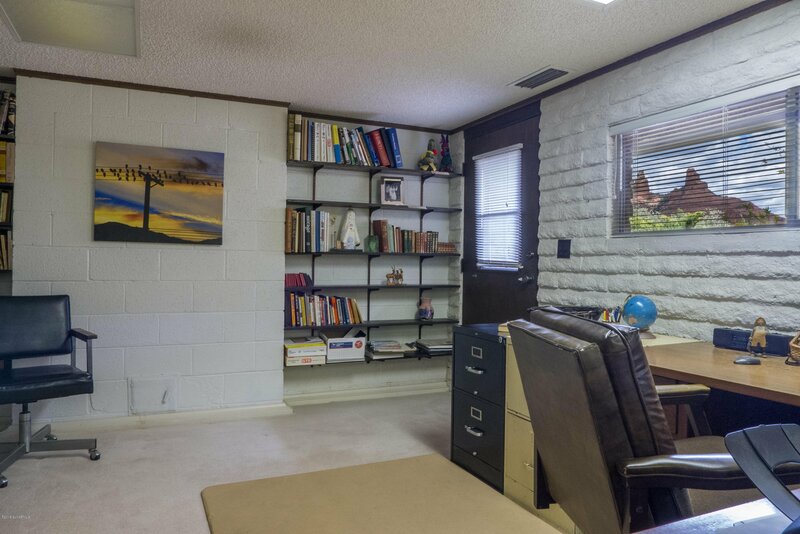 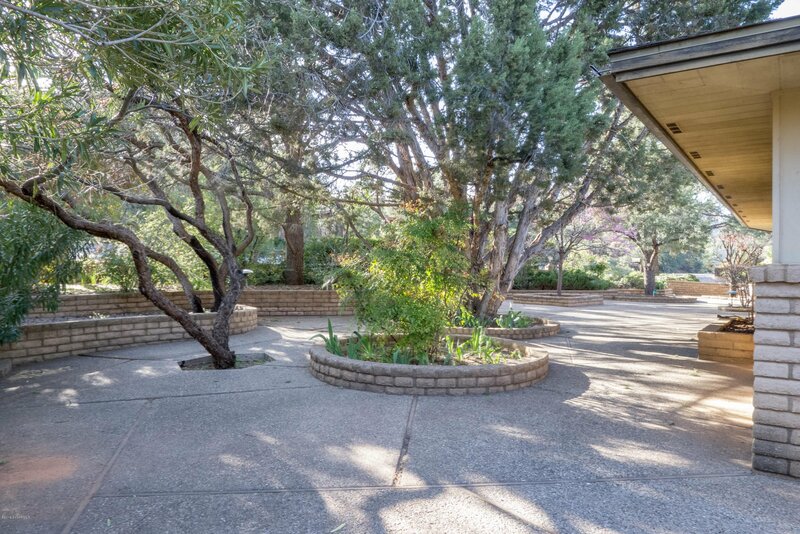 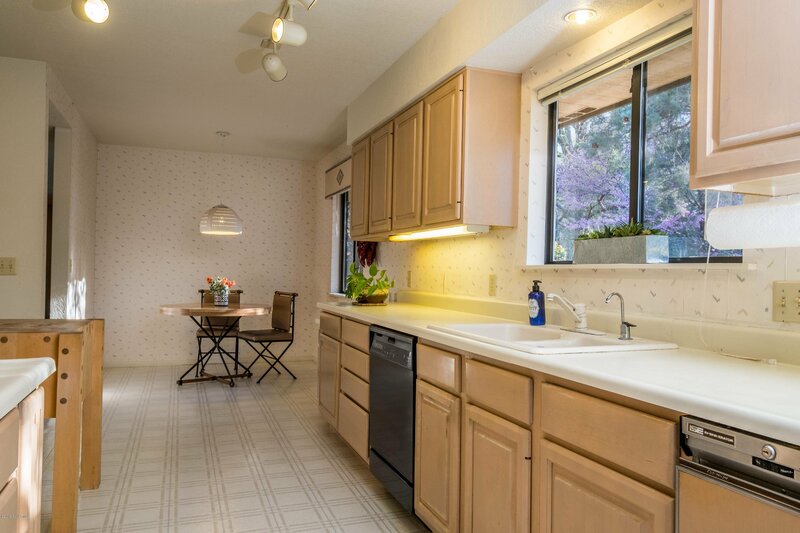 This home was built in 1976 and extensively remodeled in the 1990s. 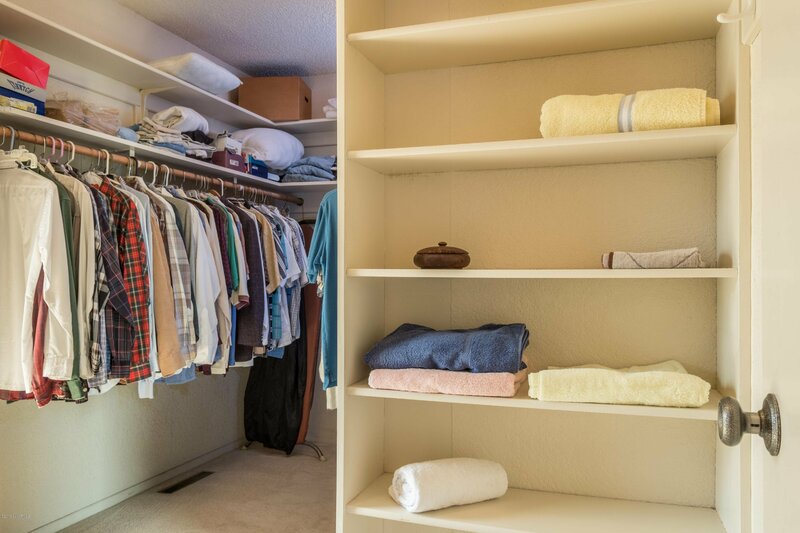 All main level living with level entries. 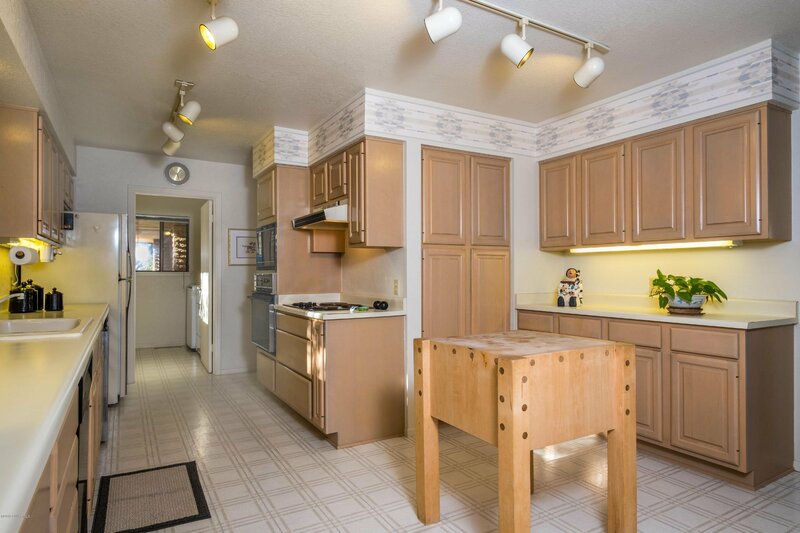 Large kitchen with breakfast nook, formal dining room, huge living room plus separate den/family room. 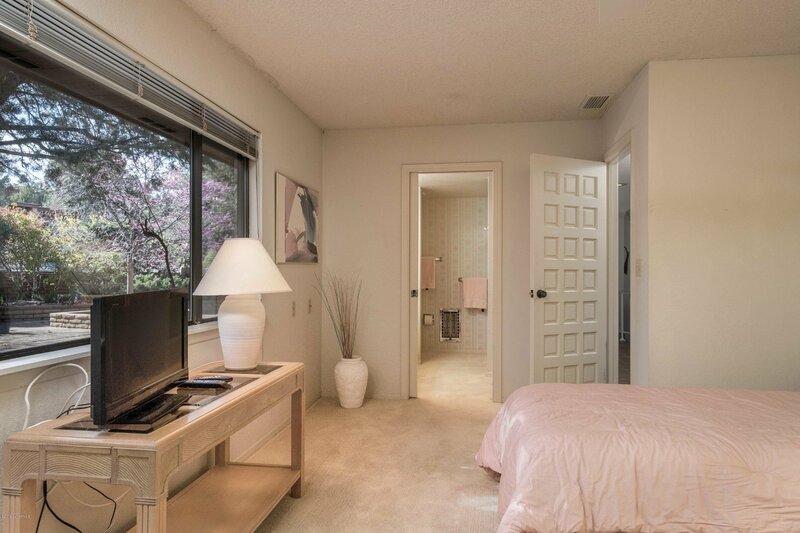 Master suite, guest bedroom & bath, powder room & laundry room complete the main level. 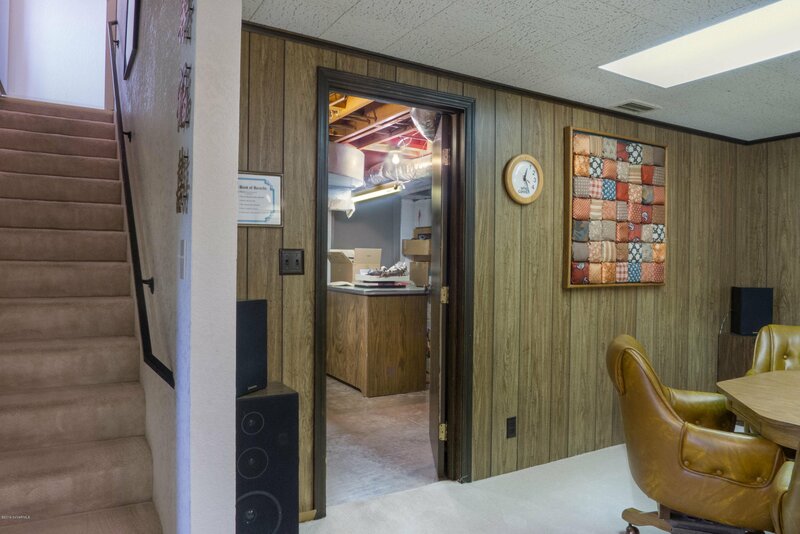 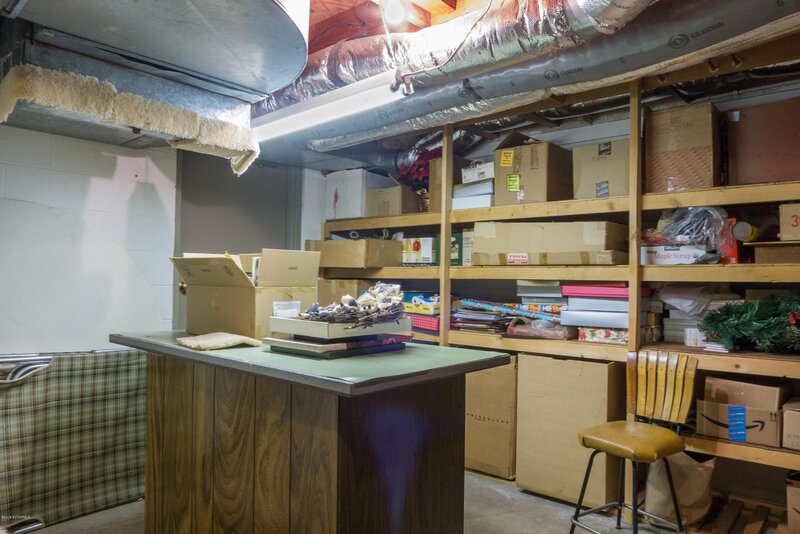 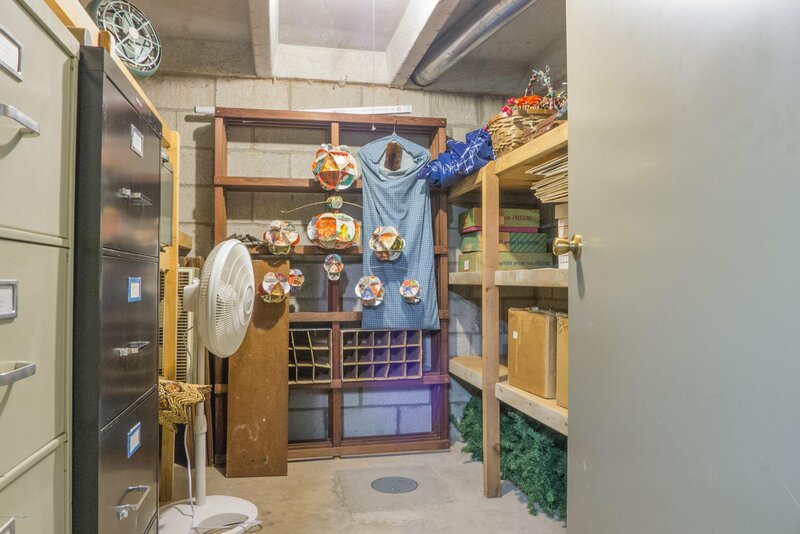 Lower level: 1 bedroom & bath, office, game room & storage rooms. 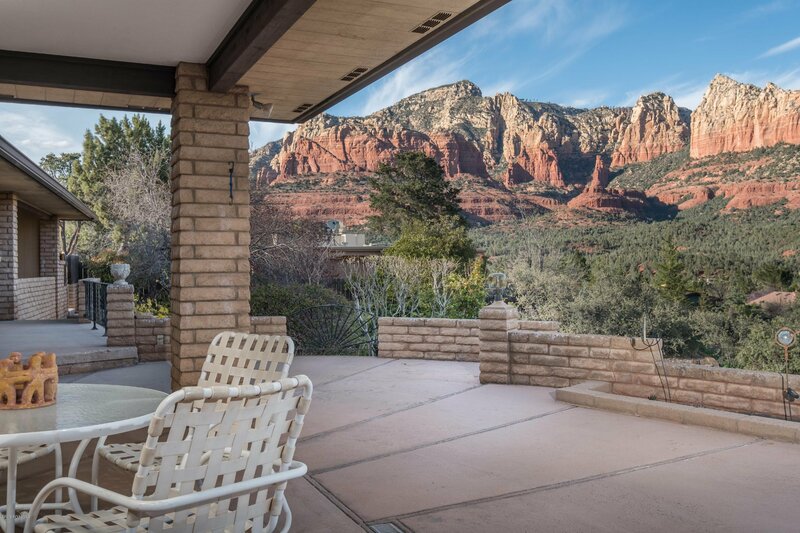 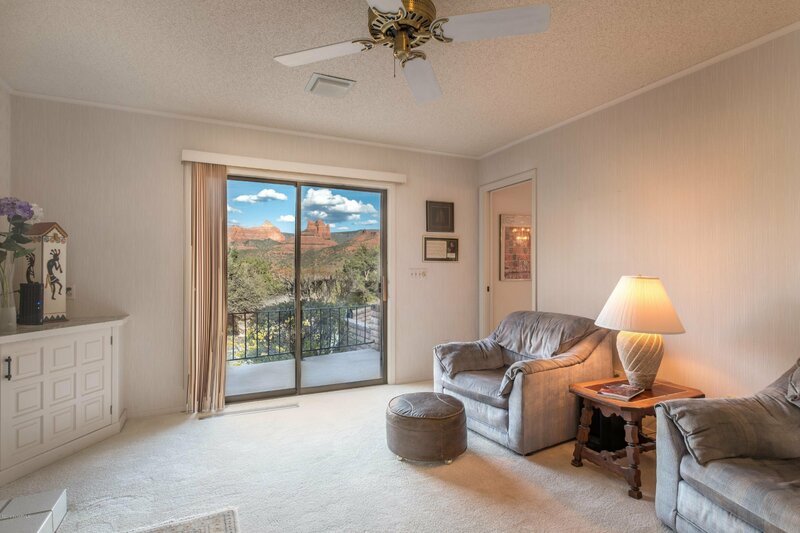 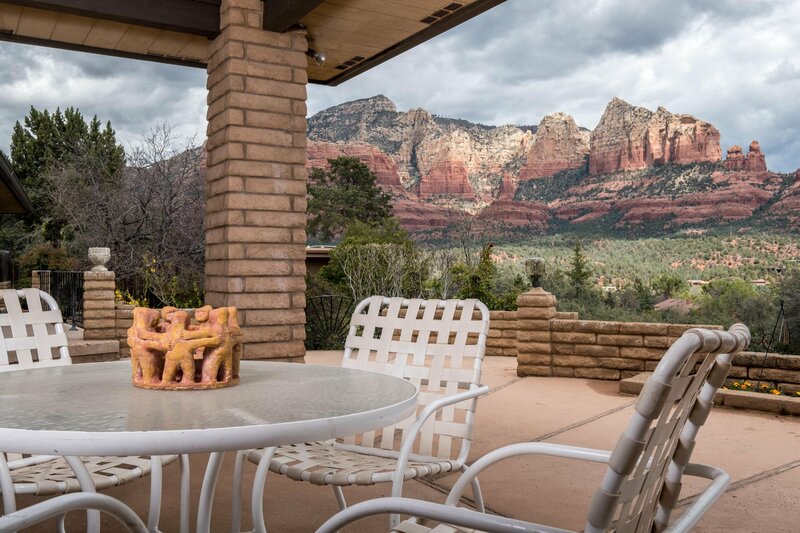 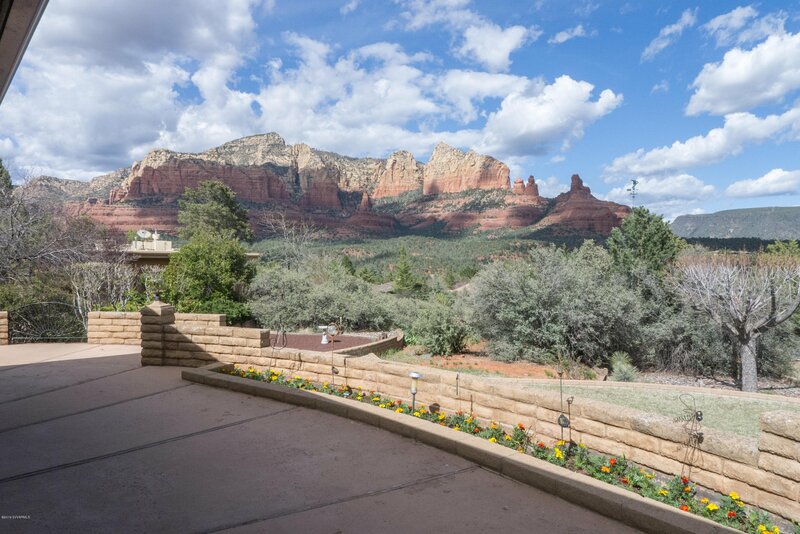 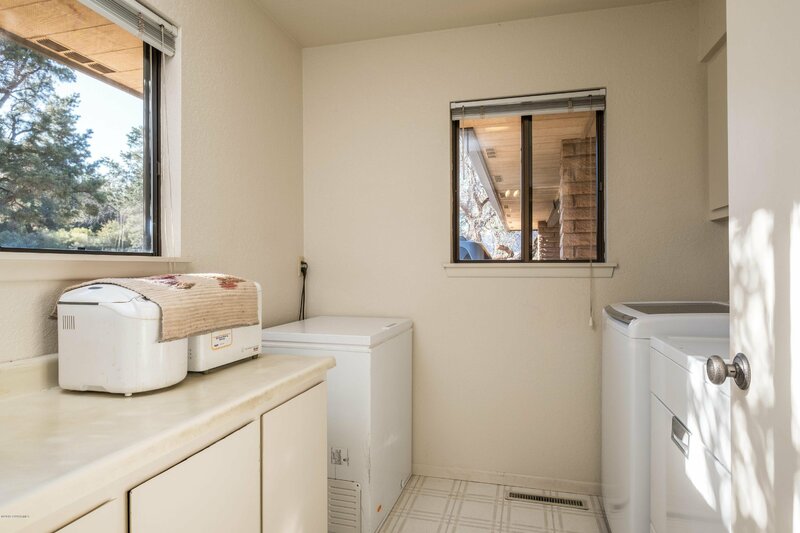 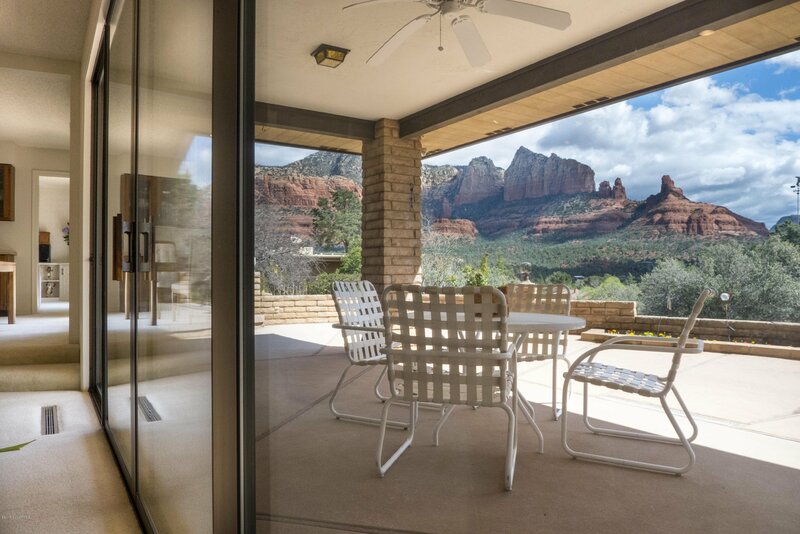 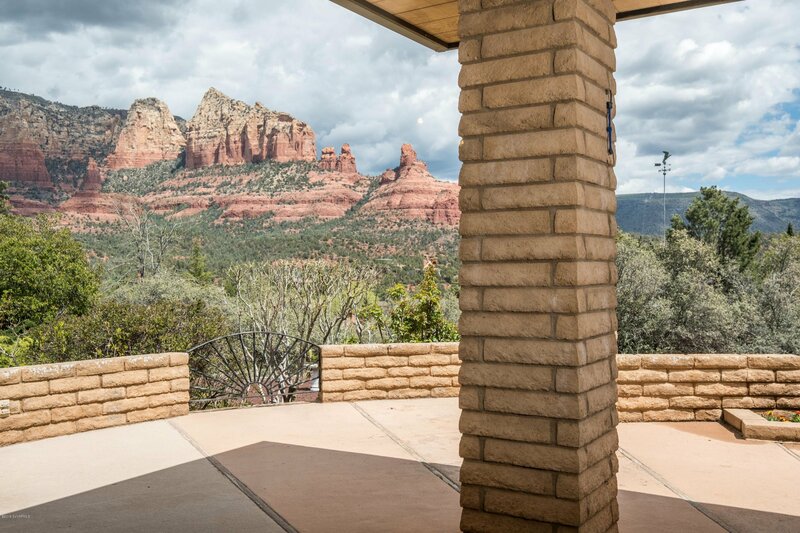 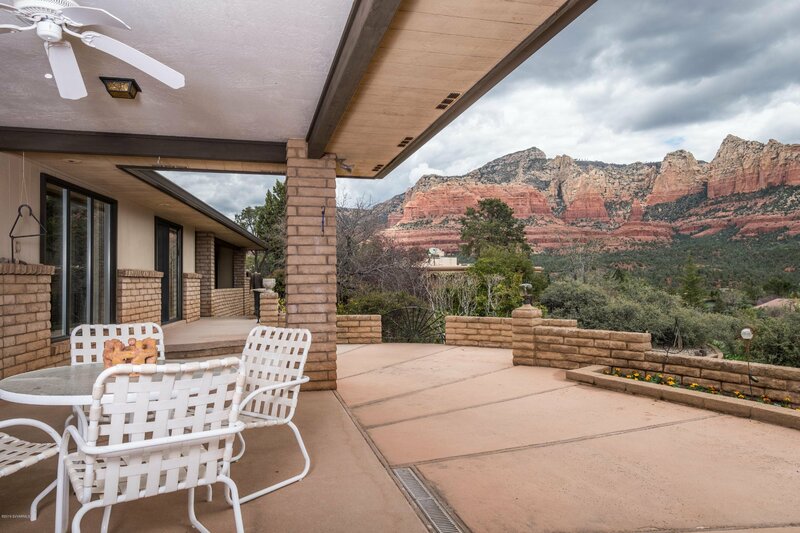 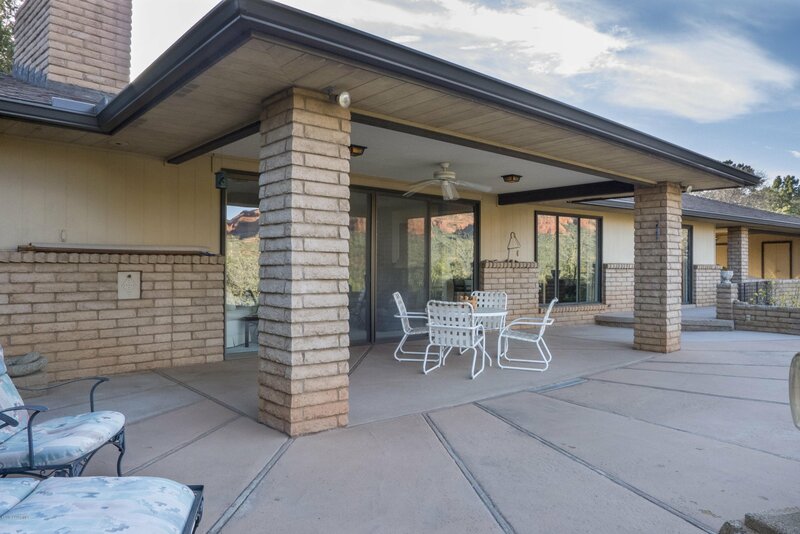 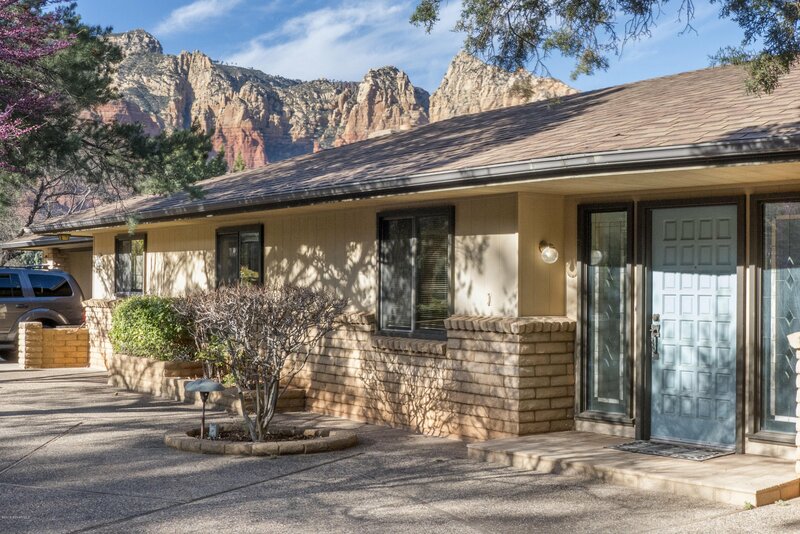 This home is light & bright inside with lots of windows all across the back to enjoy the HUGE red rock views. 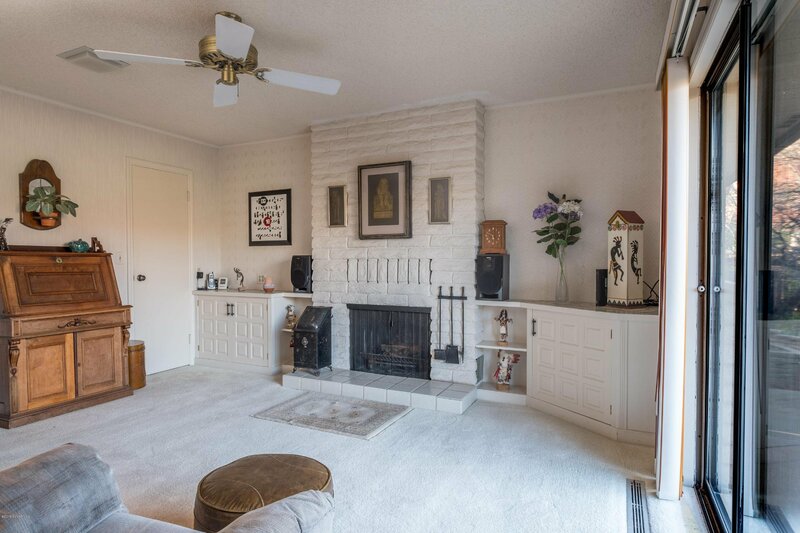 2 gas fireplaces. 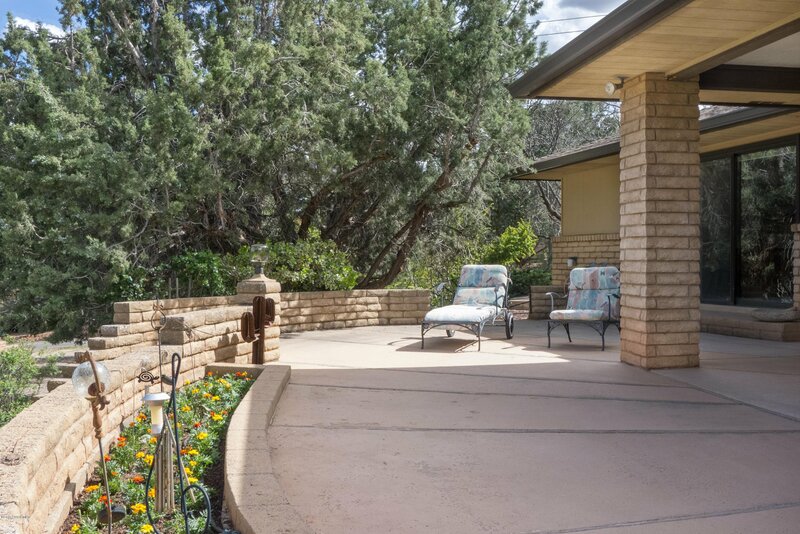 Several patios with extensive landscaping in front, back, & side yards. 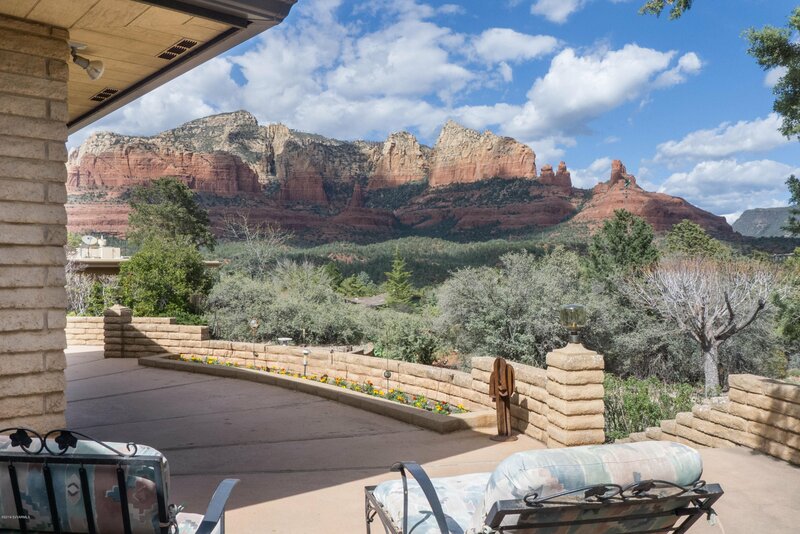 Views, peace & quiet, & lots of space inside & out. 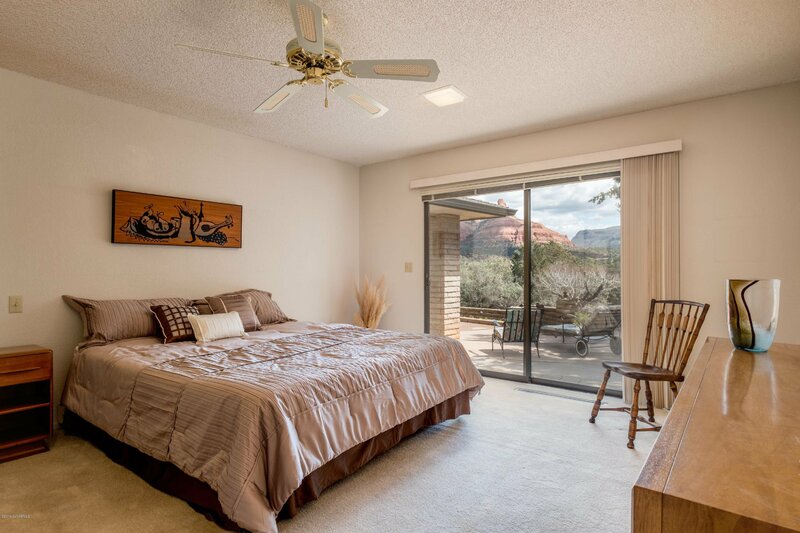 Room to breathe, live, & relax.